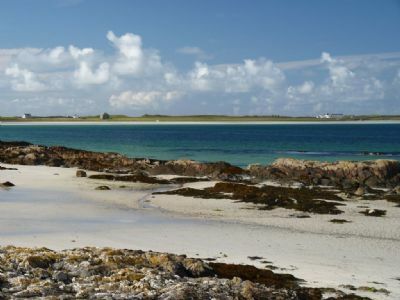 Caolas Cottages are located at the eastern end of Tiree with superb views over Gunna Sound towards the neighbouring Isle of Coll. There are some stunning sandy beaches only a few minutes walk from the front door. In summer you will often be able to spot pods of Basking Sharks feeding on the plankton rich waters of Gunna Sound (don't worry basking sharks are vegetarian!). If you don't see a basking shark you are guaranteed to be watched very closely by some of the numerous nosey seals who inhabit the rocks nearby. On a clear day you can see out to the outer isles of Barra and the Uists to the west, northwards to Rum, Eigg, Muck and Canna and to the east the hills of Mull and the mainland. It really is an idyllic location. 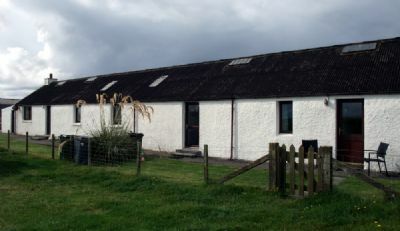 We are about 5 miles from Scarinish where you will find the bank and a well stocked co-op store. 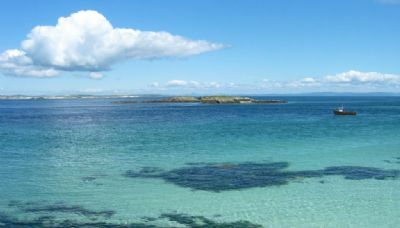 If this is your first visit to Tiree (and we know it won't be your last) your hosts, Norma and Hugh will be on hand to provide you with all the local information and make sure you have a great holiday. It takes roughly 10 mins to get from the ferry terminal at Scarinish to Caolas, of course that's assuming you don't get side tracked by the beautiful expanse of sandy beach at Gott Bay which is enroute to us. It really is spectacular.